There are now only 5 sleeps until I start my travel down to DDD South West!! I debated for a long time as to whether I was actually going to attend this event, but in the end I decided that there were just too many good sessions to pass up on. As is always the case though, there are just too many to pick from, and a number of the ones that I was hoping to see are on at the same time, so I might try to catch them in the Repeat Track. The Repeat Track is not something that I have seen at the other DDD events, and I am very curious to see how it works out. Rather naively, I thought that getting to Bristol was as easy as getting to London, and I left the organisation of the hotel and travel to the last minute (two weeks ago). When I came to try to book travel I was shocked by how much a flight was going to cost. It was going to cost something like £350-400 to get from Aberdeen to Bristol, and Train’s were not much better. As good as the sessions were, travel costs of that much was a bit steep and I started to wonder whether I was going to be able to make it at all. Sorted! So, now all I have to do is travel down to meet Craig for the first leg of the journey to DDD South West. 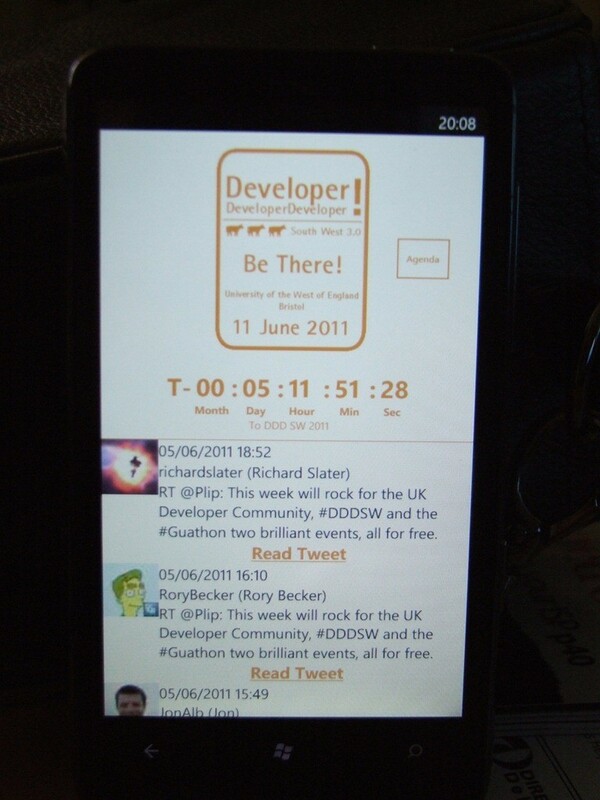 In case you haven’t seen it, there is a Windows Phone 7 application for DDD South West (you can find it in the Marketplace by searching for “DDD SW 2011”. I for one will be making extensive use of this application when I am trying to decide which sessions I want to go to. 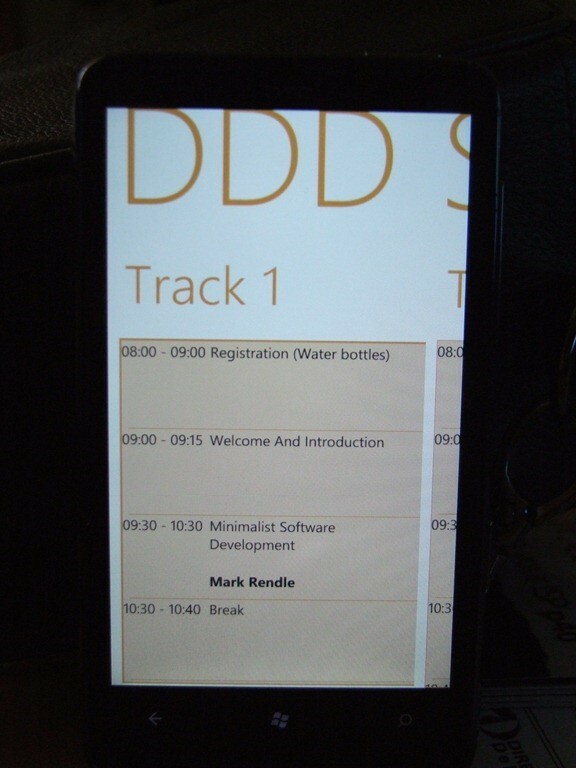 I have also volunteered to help out at this years DDD South West. I don’t know what exactly this will mean on the day, but I am sure that Guy Smith-Ferrier (@GuySmithFerrier) will keep me right.